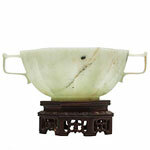 19th century translucent gray celadon colored nephrite jade thumb ring. 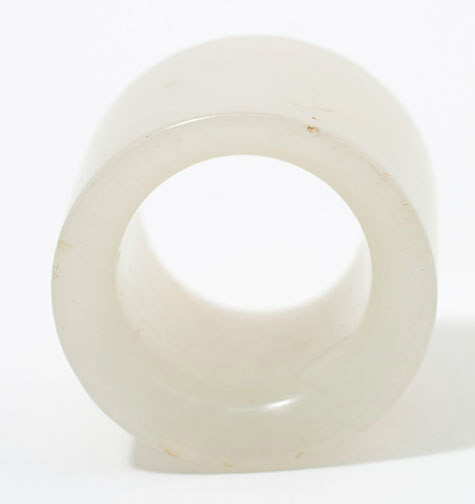 Chinese men of social station, such as the literati and the officialdom of China, would wear these jade cylinder thumb rings (or archer's rings) on their thumbs. They are said to have evolved from the very early devices used to bring the bow string back and release so that it would not tear the thumb of the archer. 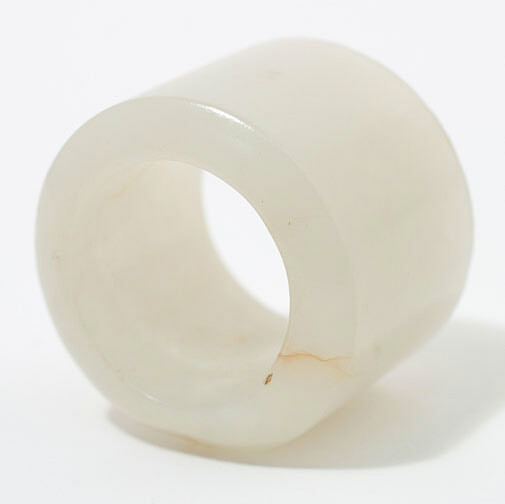 By the time of the Song and Ming Dynasties the thumb rings had devolved to the point of being simply beautiful cylinders of jade or other materials that, when worn, were a statement of the individual's higher rank. The thumb ring is an excellent way to express privilege because with one of these thumb rings on it is almost impossible to do any sort of real work with the hands. 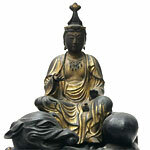 They make all things rather clumsy, but they do certainly express the privilege of the individual wearing them. 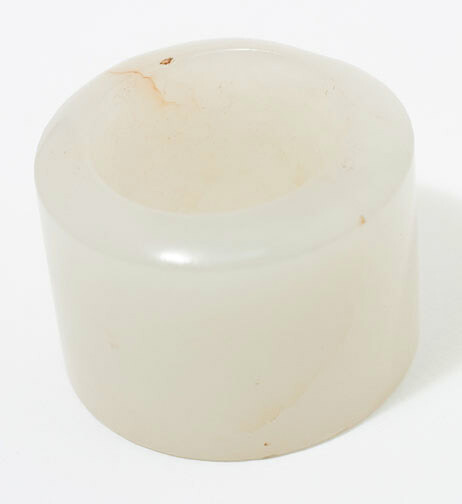 This translucent thumb ring has a somewhat cloudy interior. It is a classic form of 19th century thumb ring.